Big Water Society, located in Atlin, BC, was founded in 1996 to help provide funding for counselling services in this community. The Society name is taken from the Tlingit Â Tlèn, meaning “Big Water”, from which the name “Atlin” comes. We provide free counselling services for anyone in the community in order to assist in increasing individual and family health and promote community cohesion. We built and maintain a welcoming and safe gathering centre for teens and provide supervised youth activities that are stimulating, fun and that also build life skills. 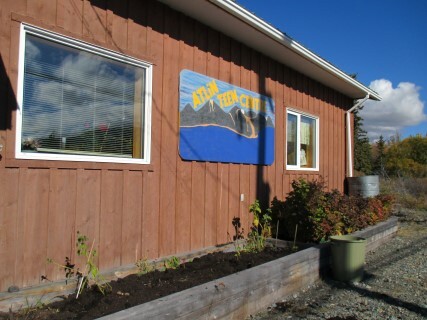 The Big Water Society office has now relocated to the Atlin Teen Centre, at 142 4th Street, Atlin. The Atlin Community Counsellor, who provides services to anyone in the Atlin area, maintains an office in the Taku River Tlingit Social & Health Building. Donations to support our ongoing programs are always appreciated. Click here to make a donation.